The flag of Kosovo is as young as the modern nation. The current Kosovo flag has been in use for less than a decade, and it is the only national flag that Kosovo has ever had. It does follow in the footsteps of several flags that represented the people of Kosovo and their provisional governments, but those flags did not represent the nation itself. Kosovo flags have a solid blue field with a gold silhouette of the nation's borders in the center below an arc of six white stars. Each of the six stars on the Kosovo flag represents one of the six largest ethnic groups in the nation. The country's silhouette represents the country itself and its national unity. The blue field resembles that of the United Nations flag, which flew over the country before it gained its full independence from Serbia. 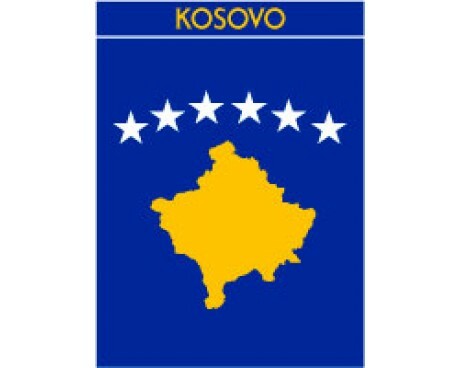 The modern flag of Kosovo was adopted in 2008 through a competition that was organized by the Kosovo Unity Team and supported by the United Nations. The winning design, which was submitted to the contest by Muhamer Ibrahimi, was selected from a pool of slightly less than one thousand entries to represent the budding nation. The design has proven to be popular with the people of Kosovo, who have never seen fit to change it. 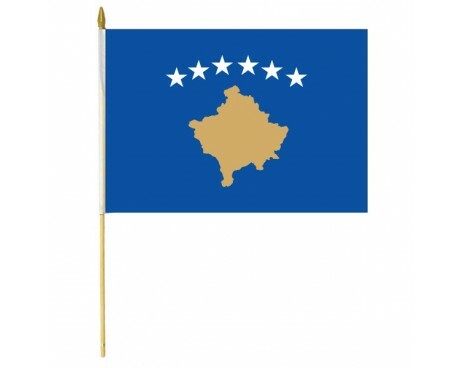 Ibrahimi's design replaced the flag of the United Nations, which represented the nation of Kosovo while it worked to establish a government after it declared independence from Serbia. The flag of the United Nations was used from 1999 to 2008. The official flag is not the only flag that is used to represent Kosovo. Kosovo was part of Serbia prior to its independence, and it was part of Yugoslavia before that. Most of the ethnic groups in Yugoslavia represented themselves with ethnic flags. The practice was illegal when the country's socialist government was in power, but it remained common. The Albanian people represented themselves with a red flag that displayed a black double-headed eagle, and that flag is often used to represent Kosovo in the modern era alongside the official Kosovo flags.